Novelist Faith Bleasdale returns to an amazing sushi restaurant a short walk from Camden train station in North London. I love sushi. I love food in general, but sushi is right up at the top of my favourite food list. I’ve also been quite lucky with my sushi ever since I first discovered it; living in London and then Asia, I was always spoilt for choice. Then I moved back to where I grew up; North Devon, on the British coast. Now, there are many things I love about the area but there are also many things I miss about London. One of them is my friends and the other is sushi – because there is none to be found in my new home – apart from those little plastic packs you get in supermarkets, which I don’t believe counts. Whenever I leave the area and go back to London I have a rule; I have to have sushi!. And as it’s for one night only (and generally only once every few months), it’s imperative that my friends and I get it right. So my sushi secret in London is Bento. 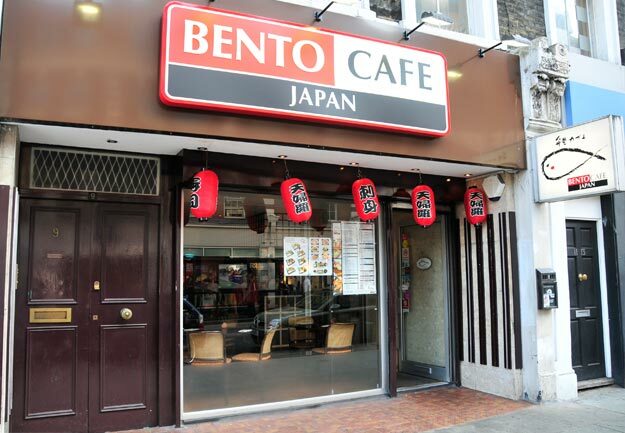 Situated in Camden it’s a lovely restaurant which serves affordable, delicious Sushi and a wide range of Japanese food. Whether you want Maki, Tempura, Sashimi, or noodles then you won’t be disappointed. I think it’s a bit of a hidden gem because it really does deliver on food, service and price. The restaurant itself is comfortable but not ostentatious. It’s fairly simple decor doesn’t reflect the food, but the service is friendly and fast and you don’t have to wait for hours to be get your food. It also offers a great take away service and it delivers locally. What more could a sushi lover want? I won’t tell you what to eat, but any of the Maki is fabulous, the Bento salad is a favourite as is the black cod. My three year old loved his chicken Teriyaki and noodles (the restaurant is also completely family friendly.) I just think the answer is to try as much as you can, and go there as often as you can. Well, that’s what I do anyway!